First Bank of Nigeria Limited latest job opportunities for graduates and experienced. See the requirements and procedure to apply for First Bank Jobs online. Ensure complete documentation of all observed policy/procedural breaches observed in the course of carrying out control activities in the branch. Ensure closure of internal control exceptions observed and raised during the conduct of control activities and subsequently tracking of unclosed exceptions. Escalate unclosed exceptions to the Cluster Control Manager for further engagement with other stakeholders. Minimum Education – First Degree preferably in a numerate discipline. First degree in any Discipline, preferably Economics, Computer Science and Accounting. Prior experience in Market Research and Business Intelligence is required. Higher degrees /MBA/professional certifications compulsory. 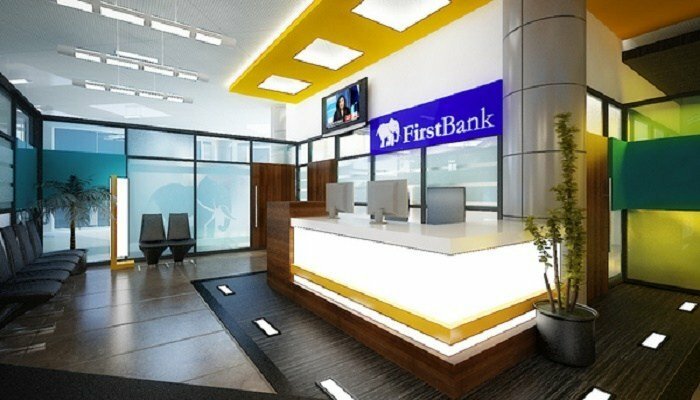 How to Apply for First Bank of Nigeria Jobs. Apply for the post of Graduate Cluster Control Officer (Plateau) at First Bank of Nigeria. Apply for the post of Graduate Cluster Control Officer (Rivers) at First Bank of Nigeria. Apply for the post of Graduate Cluster Control Officer (Enugu) at First Bank of Nigeria. Apply for the post of Graduate Cluster Control Officer (Borno) at First Bank of Nigeria. Apply for the post of Graduate Cluster Control Officer (Kwara) at First Bank of Nigeria. Apply for the post of Graduate Cluster Control Officer (Adamawa /Taraba) at First Bank of Nigeria. Apply for the post of Graduate Cluster Control Officer (Abia) at First Bank of Nigeria. Apply for the post of Graduate Cluster Control Officer (Lagos) at First Bank of Nigeria. Apply for the post of Product Manager, Work Place Banking at First Bank of Nigeria. Apply for the post of Team Lead – Control Standards & Monitoring at First Bank of Nigeria. Apply for the post of Product Manager, Community Banking at First Bank of Nigeria. Apply for the post of Product Manager, Retail Business at First Bank of Nigeria. Apply for the post of Market Research & Business Intelligence Officer at First Bank of Nigeria. Apply for the post of Product Manager, Other Asset Products at First Bank of Nigeria. Apply for the post of Team Lead, Customer Acquisition at First Bank of Nigeria. Apply for the post of Head, Other Asset & Liability Products at First Bank of Nigeria. About First Bank of Nigeria Limited.